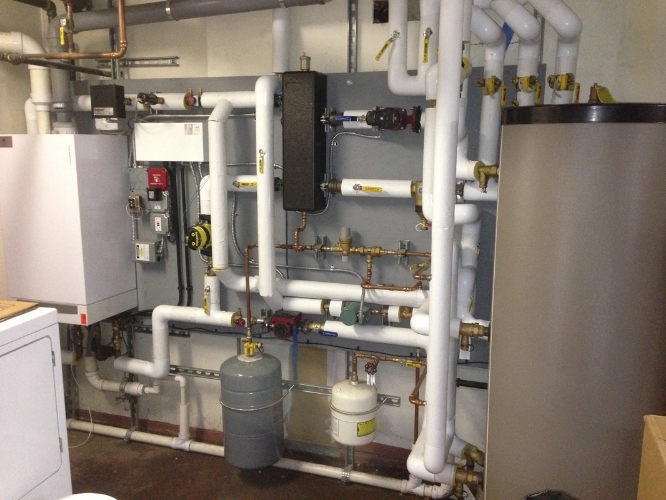 Description of Installation: Installation of Viessmann Vitodens 200W with Weil McLain indirect hot water heater. Conversion of steam system to hydronic with new copper pipes. We reused the existing radiators by converting them to hydronic and used Thermostatic Radiator Valves for room to room control.